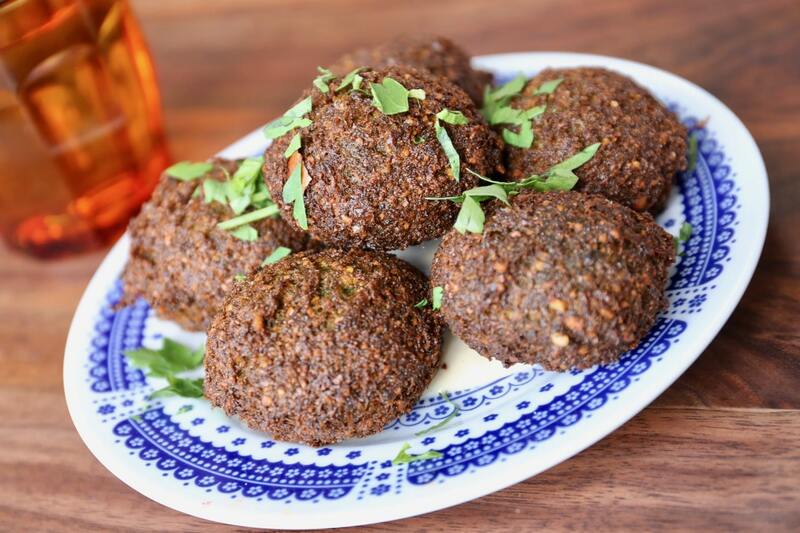 Parallel Toronto is considered one of the best Middle Eastern restaurants in Toronto. 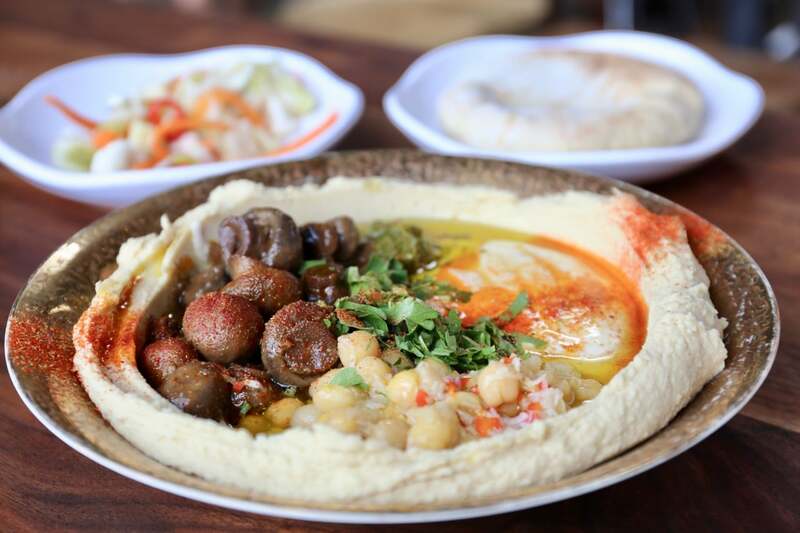 The restaurant on Geary Avenue is famous for its weekend brunch, flavourful vegetarian dishes and freshly made tahini. As if Toronto didn’t already have a plethora of delicious foodie neighbourhoods to chose from, Geary Avenue springs up and surprises us all. The up-and-coming culinary scene along this 1.5km stretch can be found between Dovercourt and Dufferin, just north of Dupont. Most Torontonians have never heard of Geary Ave until now as it has historically been a manufacturing zone. In recent years the street has welcomed a pizzeria, pasta factory, craft brewery, honey boutique and Parallel Restaurant. Parallel Toronto brings together the culinary experience and background of the three Ozery brothers, Alon, Guy, and Aharon. Alon and Guy founded and built Ozery Bakery in 1996. Since then, they have been inventing alternatives to traditional bread products that are made from hearty whole grains, fruits, and seeds. The dining room at Parallel Toronto. The Middle Eastern restaurant is most popular during the weekends as it’s ranked as having one of the best brunch menus in Toronto. 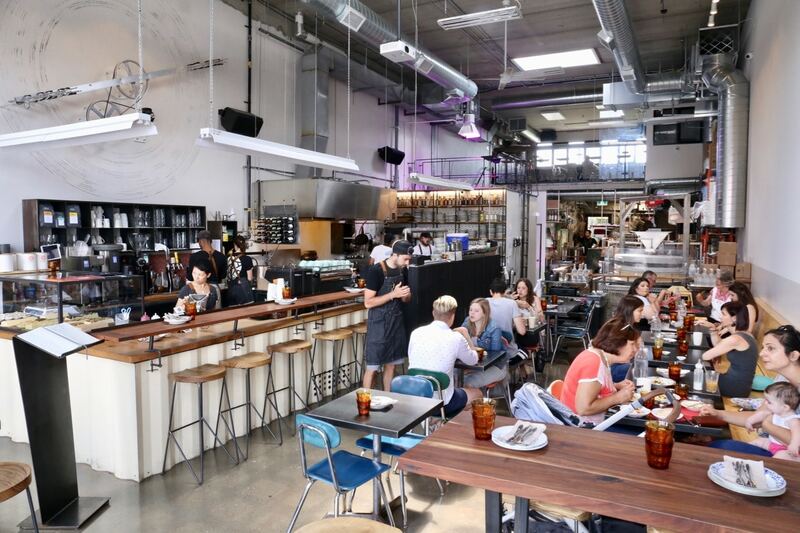 On Saturday and Sunday the industrial building turned tahini factory and restaurant gets packed with breakfast fans. Families, couples and groups of foodie loving friends arrive in droves to tuck into a fresh and flavourful menu inspired by the Levant. It’s one of the best restaurants in Toronto to sample the flavours of Tel Aviv, Jerusalem, Jordan and Dubai. Skip to the back of the restaurant’s dining room and you’ll find the star of the show. Two large slabs of volcanic basalt stones from Syria which mill Ethiopian sesame seeds into a creamy sesame butter. March up to the second floor dining room and you’ll notice Parallel’s innovative use of the space above its bathrooms, a lush herb garden primed for plucking! Parallel Toronto’s signature Truffle Hummus. If you’re having brunch at Parallel restaurant be sure to enjoy a fresh smoothie or signature sesame butter latte. During the lunch and dinner hours we suggest sipping through the bartenders Middle Eastern-inspired craft cocktail list. The restaurants Tahini machine isn’t just the focal point of the dining room, you’ll find the fresh sesame butter celebrated throughout the menu. You can enjoy the restaurant’s freshly ground tahini in a myriad of ways: enjoyed simply dipped with freshly baked pita, doused over the kitchen’s delicious savoury dishes, twirled into a fruit smoothie, transformed into sweet halva, or as take home jars labelled pure, beet, or smoked sesame butter. 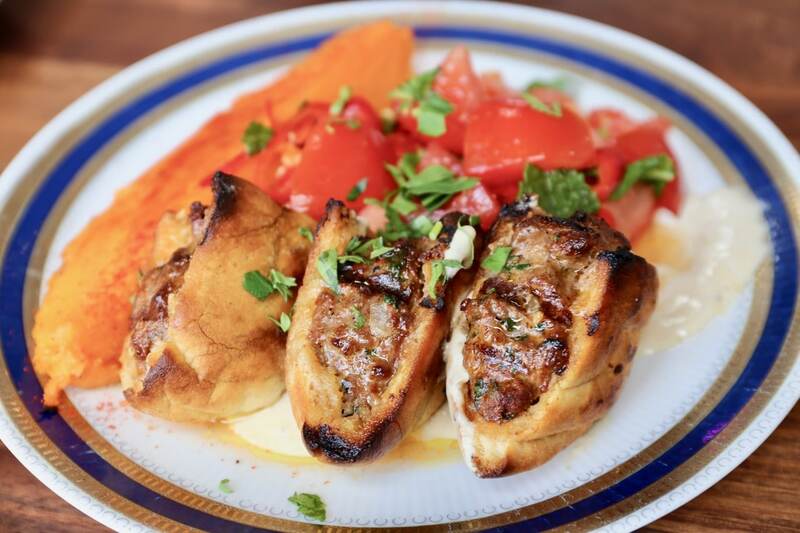 Lamb and beef kebab filled pita with yam, tahini and spicy tomato salad. 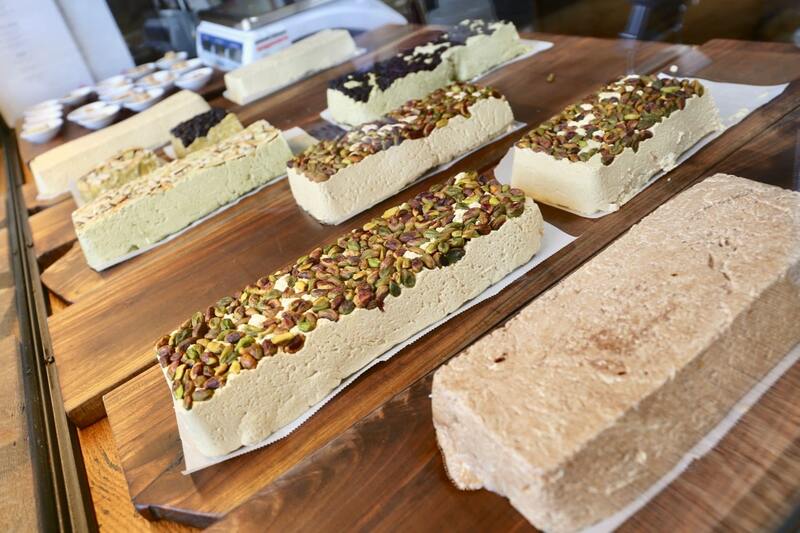 Housemade Halva at Parallel Toronto. Many of the restaurants Middle Eastern dinner dishes are available at brunch. You’ll have to visit on Saturday or Sunday morning to enjoy these delicious dishes and drinks.